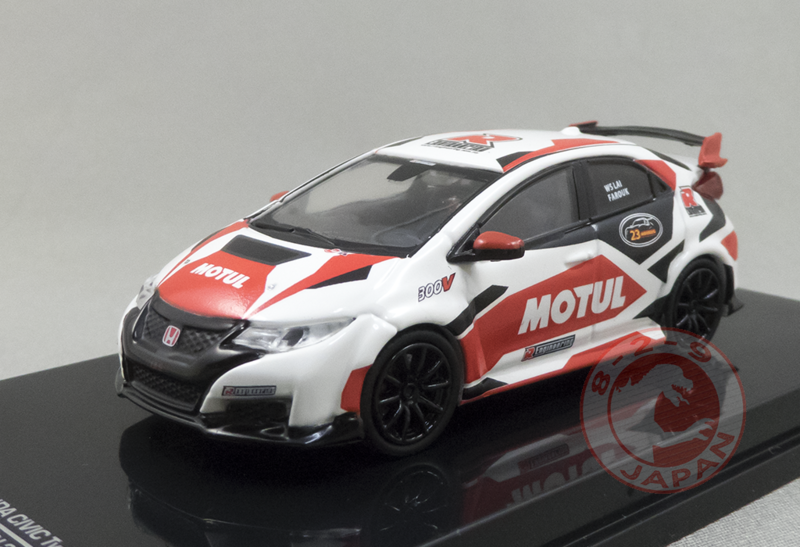 For the first time ever in 1/64 scale thanks to Tarmac Works, the Civic Type R (FK2) made its debut in a Modulo limited edition at the HK Toy Fair alongside the Lancer Evo X Final Concept. 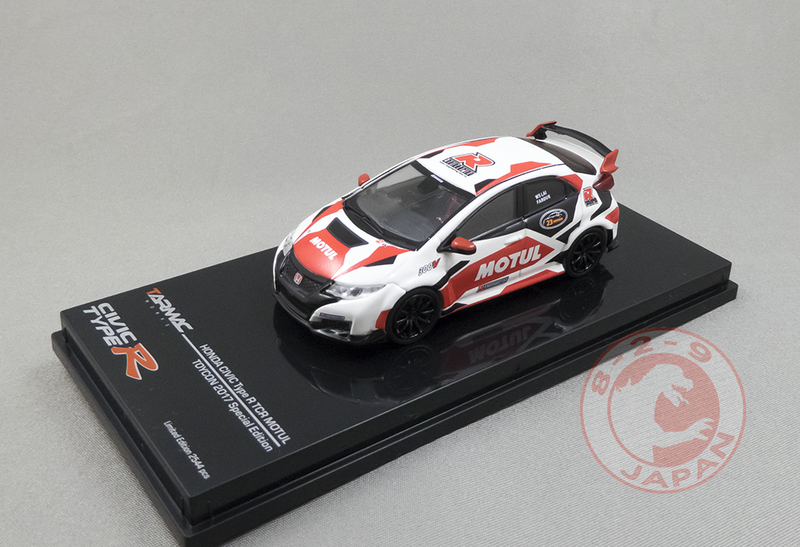 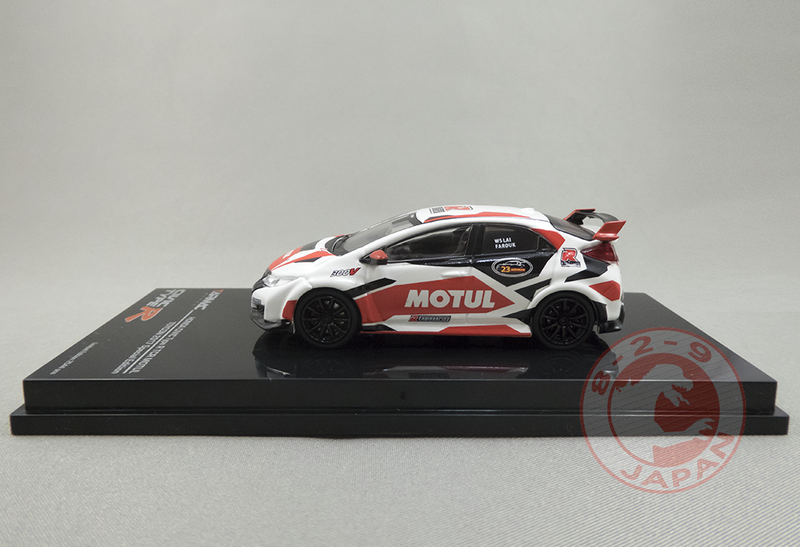 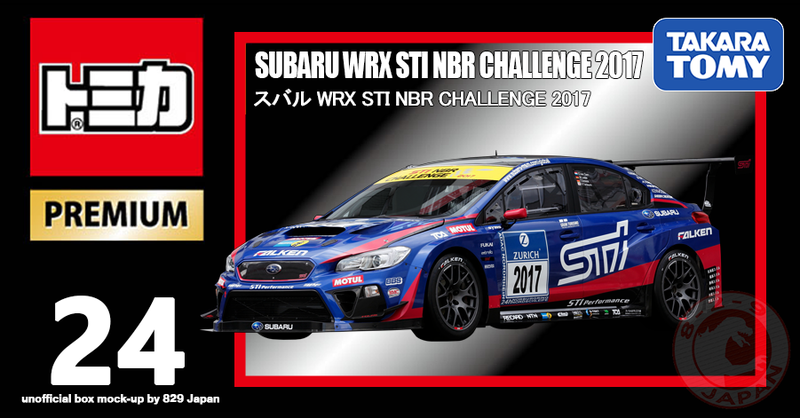 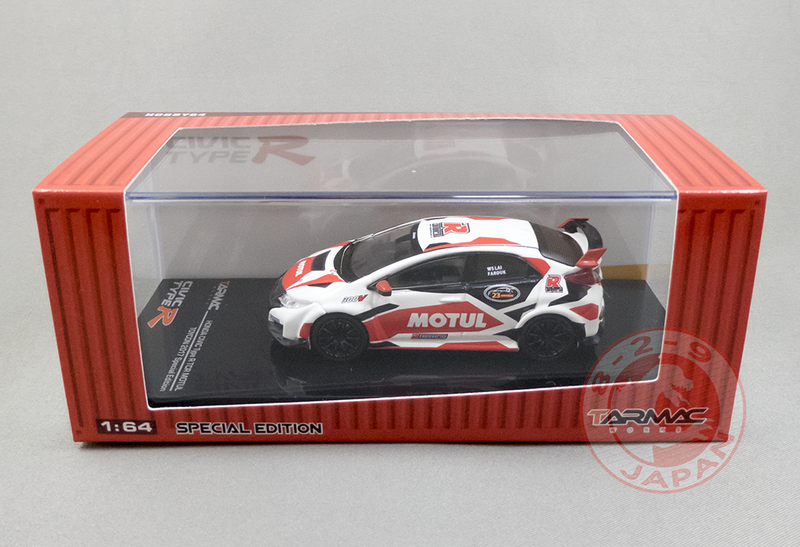 This Motul version is another special edition released at the Toycon 2017 in the Philippines as well as through Tarmac’s website and limited to 2544 pieces. 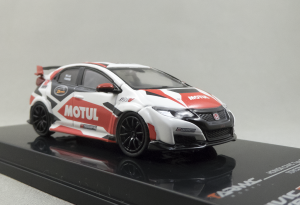 The livery is directly taken from a car running in the TCR series. 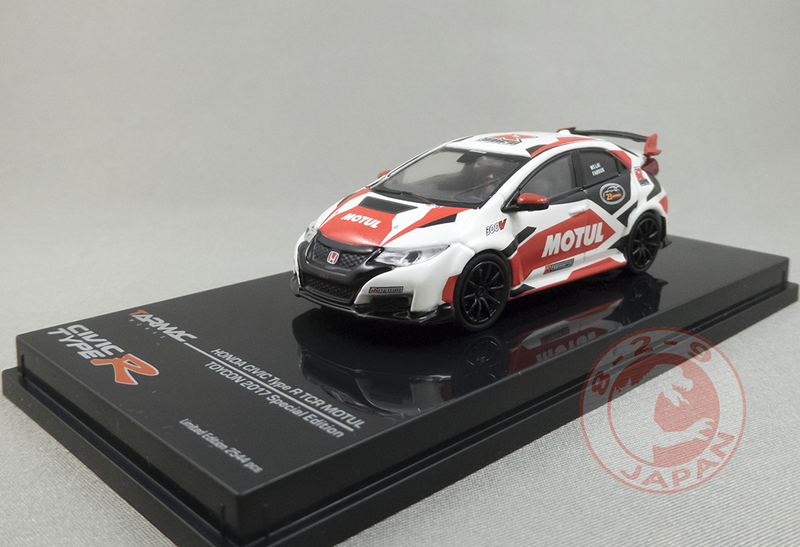 Unfortunately the race modifications are not featured on the model, which is the stock FK2. 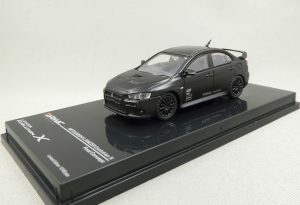 The model itself is beautiful and the attention to detail once again striking. 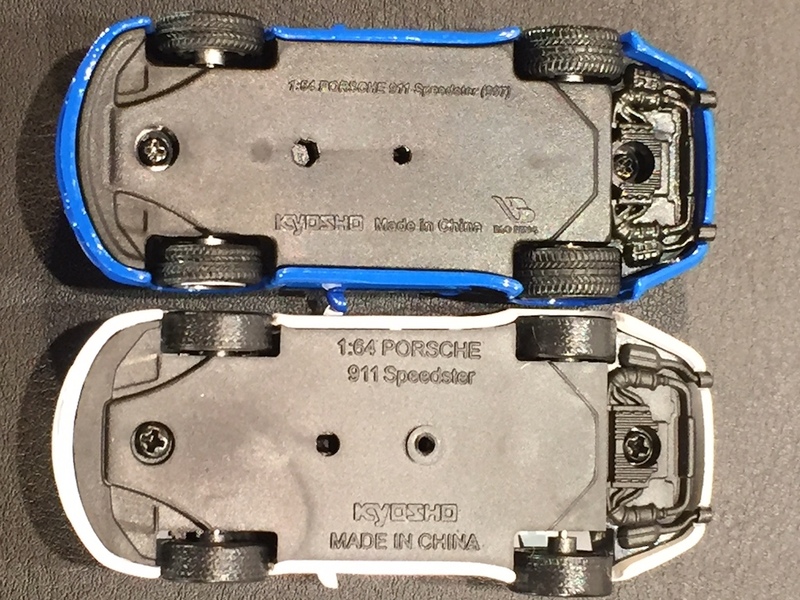 The rear wing is surprisingly well reproduced at this scale and the brake calipers are visible through the wheel’s spokes. The side mirrors are functional thanks to chrome stickers and there’s even a harness on the driver’s seat ! 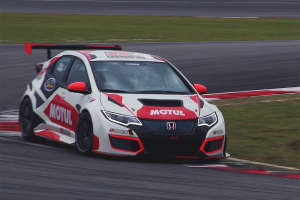 Somehow the Honda badges seem to be crooked on some of the pictures but not at all to the naked eye. 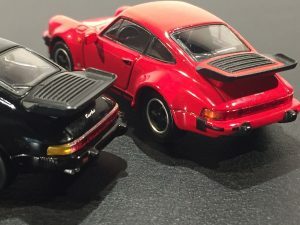 Not sure why, probably the lighting. The only defect visible on our model is the Motul plate at the rear of the car not really straight. Except for this minor inconvenience this is a very satisfying model. 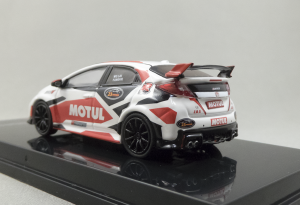 The livery is simple but effective. 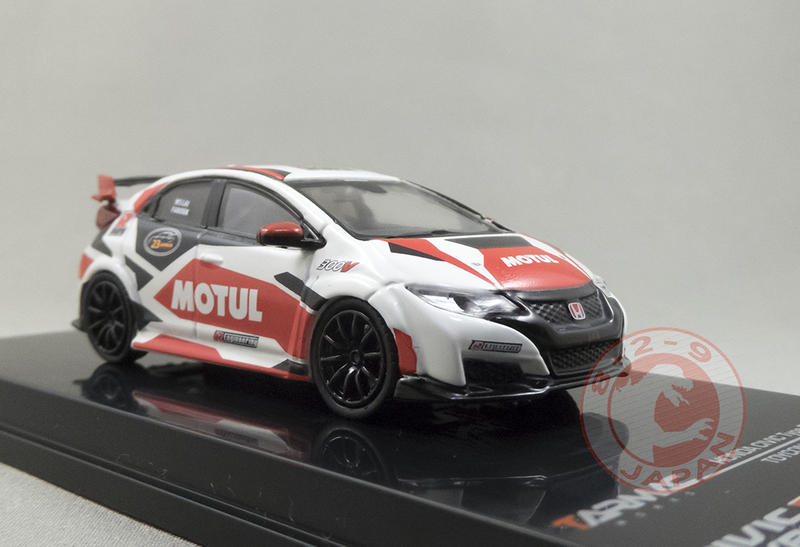 Many different versions of the Civic Type R (FK2) are already scheduled in the Hobby64 line: Crystal Black Pearl, Milano Solid Red, Brilliant Sporty Blue Metallic, Championship White, Castrol WTCC livery and Advan livery ! If you like the FK2 Tarmac definitely got you covered. 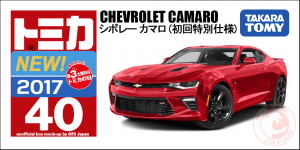 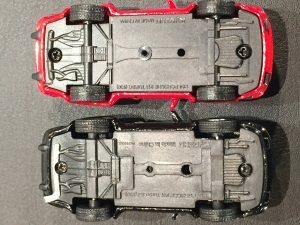 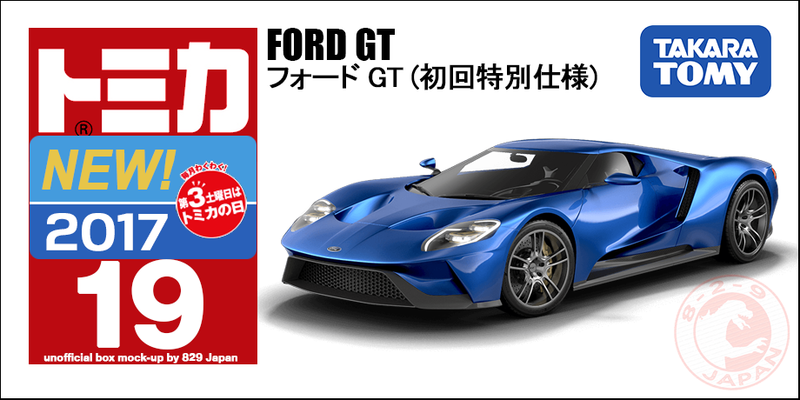 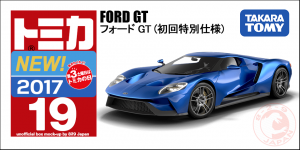 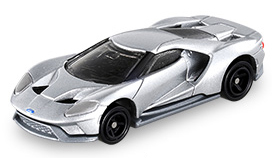 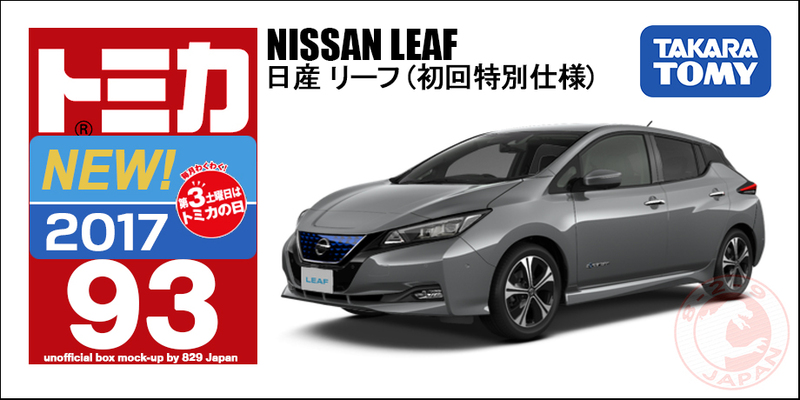 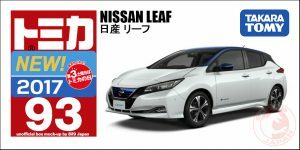 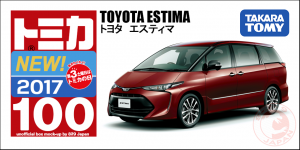 TakaraTomy recently officially revealed the Ford GT and Toyota Estima for September, but now we know their plans for October, November and December thanks to a leak. 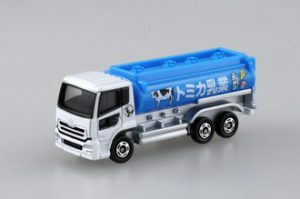 Recently released in 7 Eleven stores in Taiwan, this new collection by Kyosho and PaoFeng raised many questions. 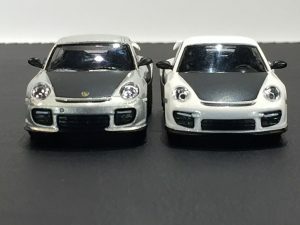 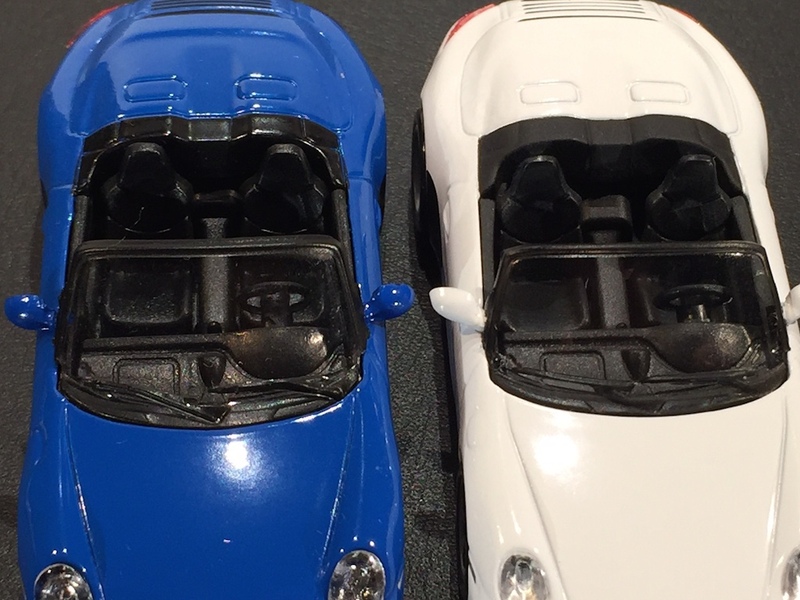 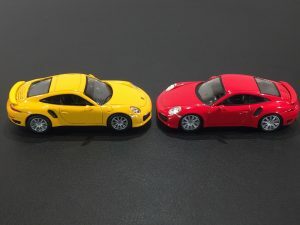 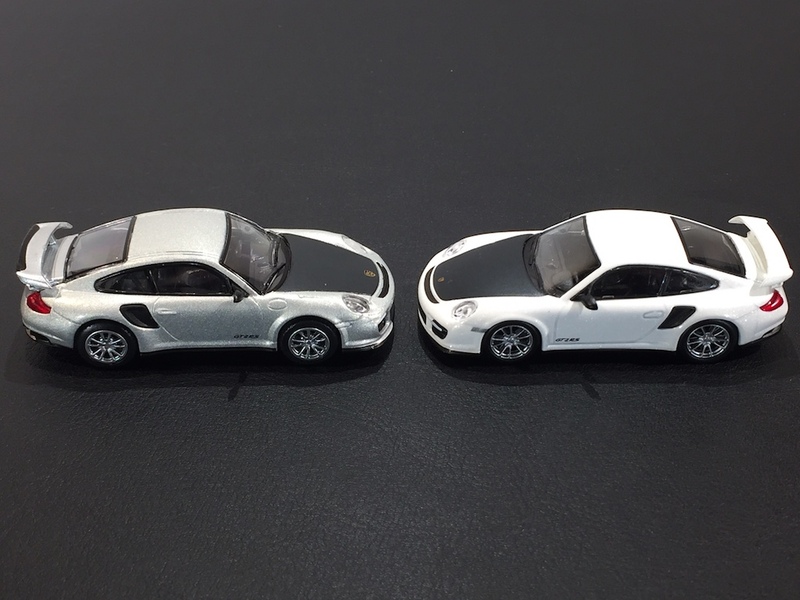 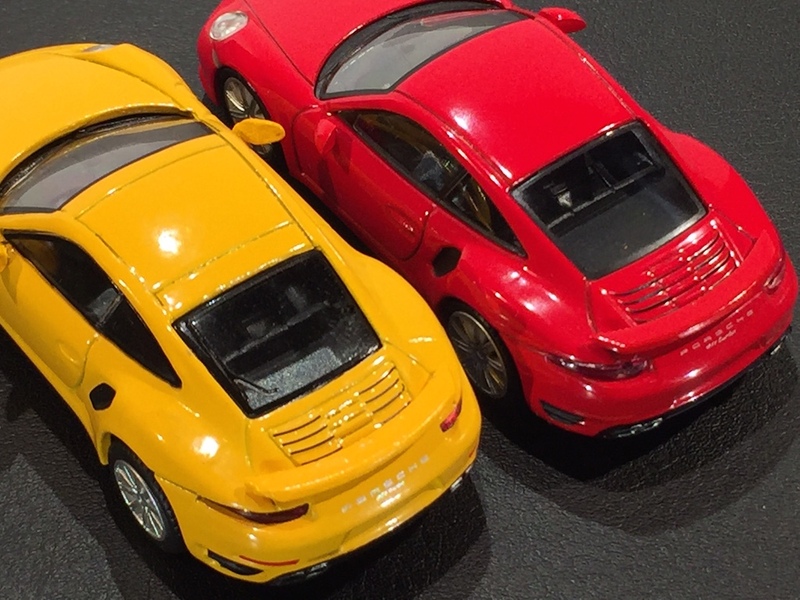 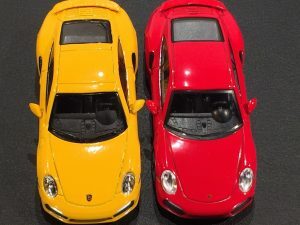 Brand new models or reruns of the previous Kyosho Porsche collections by SunKus in Japan? 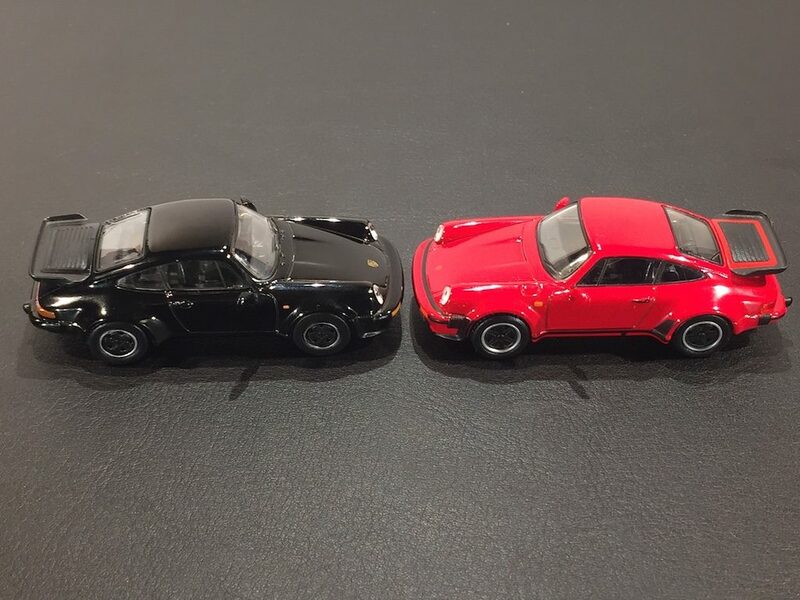 Ben Kiehn took these comparison pictures to help us get a better idea of what this latest collection really is. 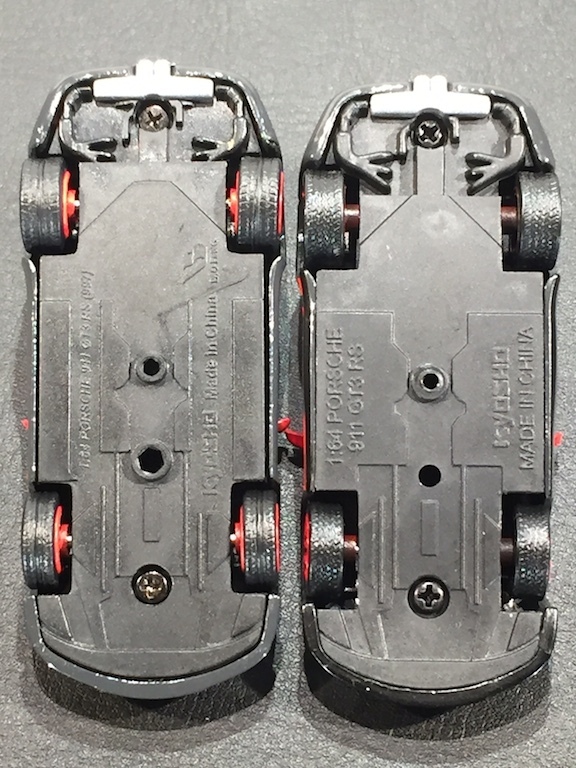 First, let’s end the debate on who’s the maker. 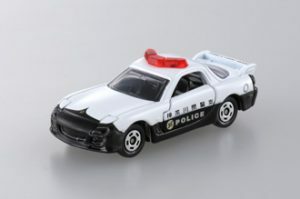 Kyosho officially took credit for this 7eleven collection on their Taiwanese Facebook page and their badge can be seen everywhere. Yes, those are definitely Kyosho cars. 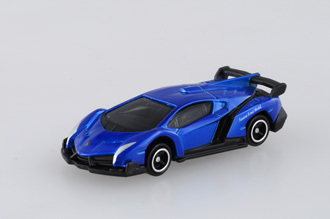 The manufacturer however is not the same as for the Japanese SunKus collections. This time PaoFeng was in charge of the production and they did entirely new tools for the 10 cars. 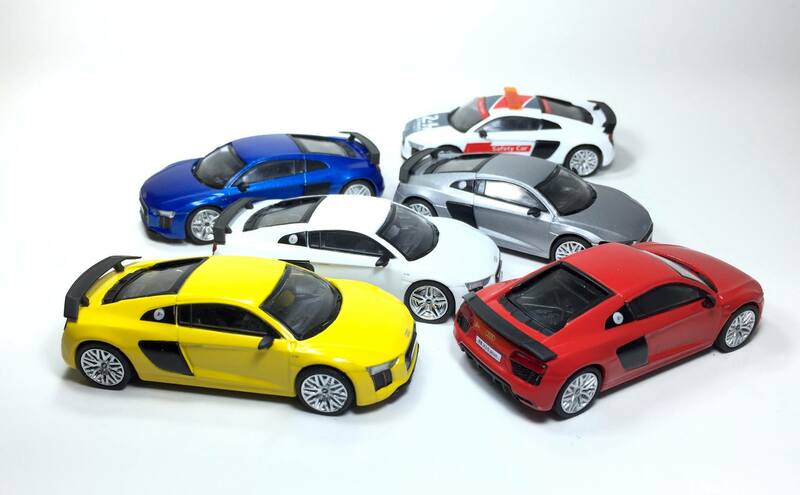 The deal was obviously made for licensing reasons but in the end we have Kyosho models made by PaoFeng. 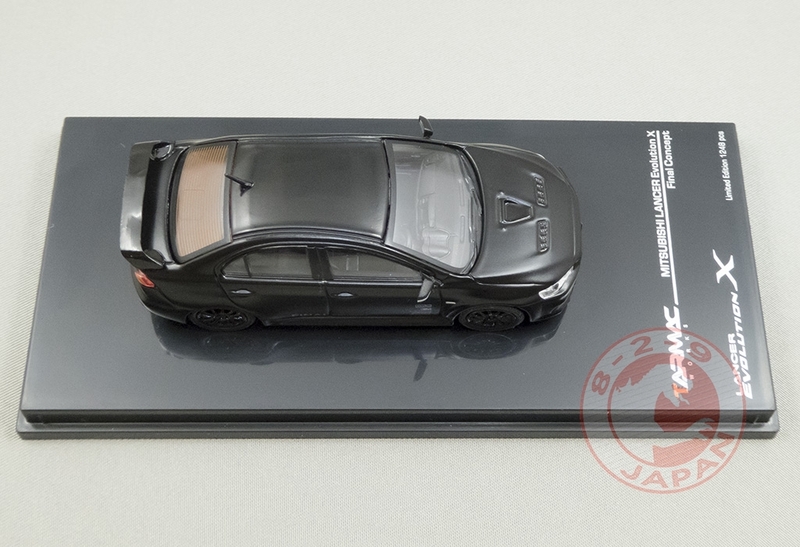 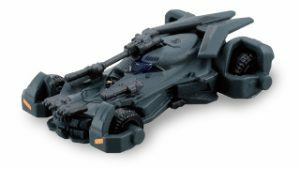 It is not the first time Kyosho works with a another company to produce specific models. Now that we determined who the parents are, let’s look at the cars and start with the 911 GT3 RS (997). 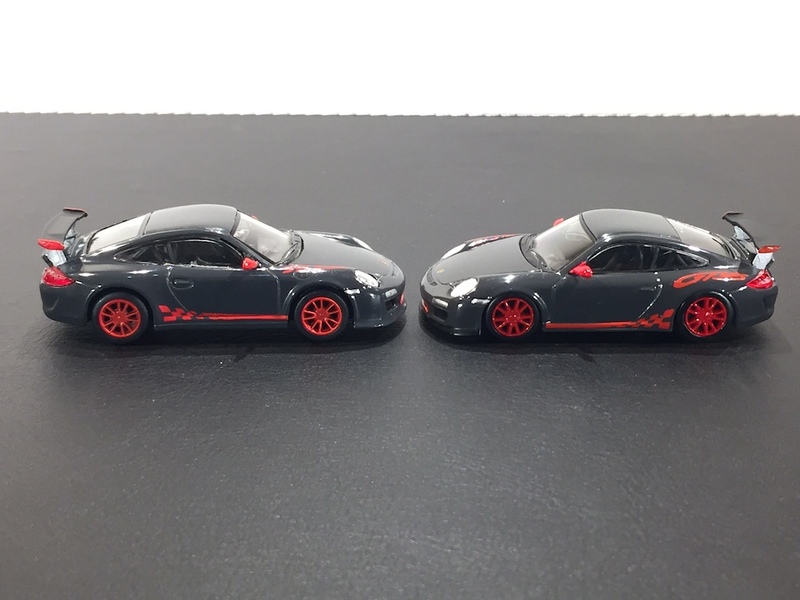 Can you tell which one is from 7Eleven Taiwan and which one is from SunKus Japan? 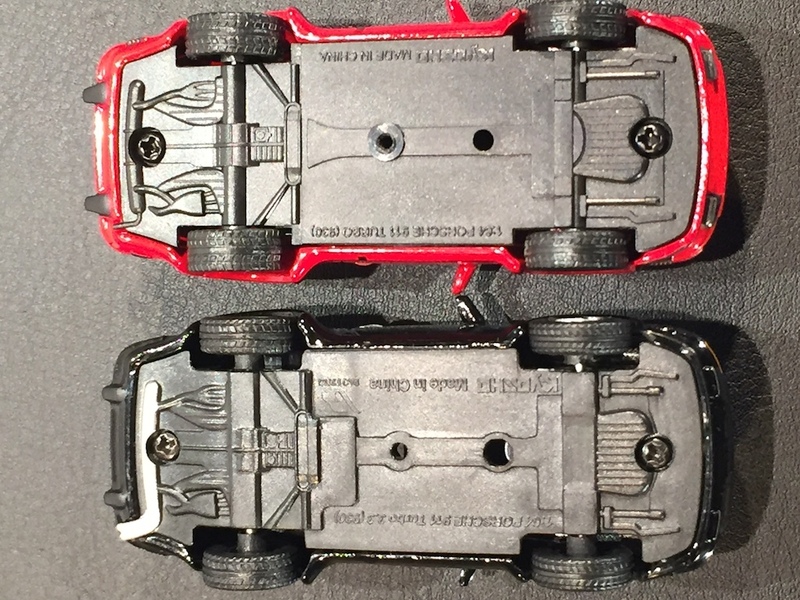 Hard to tell from a distance but a closer look will reveal some differences. 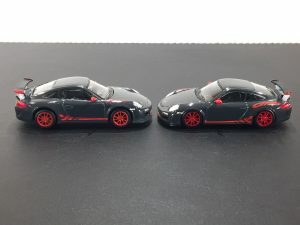 On the left is the new 7eleven version, on the right is the older SunKus version. 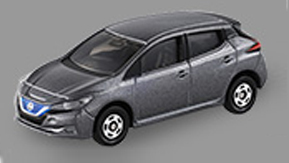 The headlights look better on the PaoFeng edition, as well as the wipers. 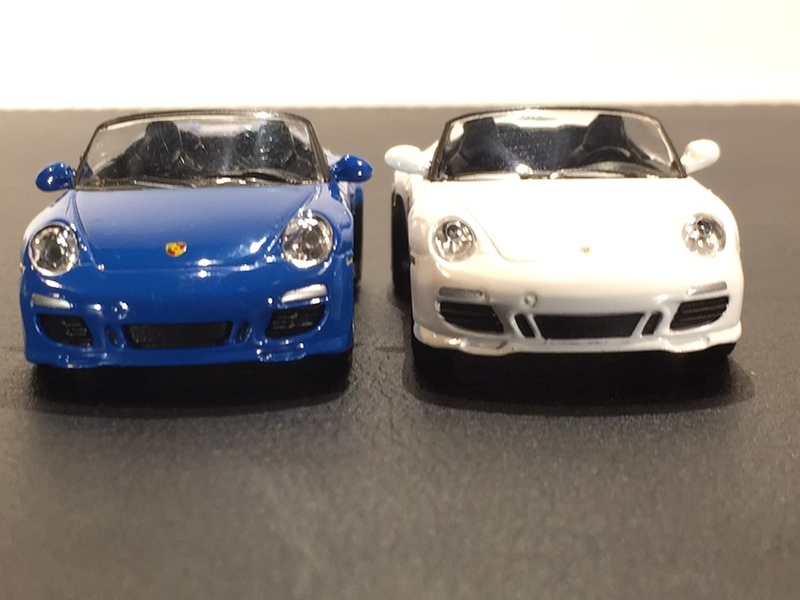 The Porsche crest however is way too big and the side mirrors appears to be too small. 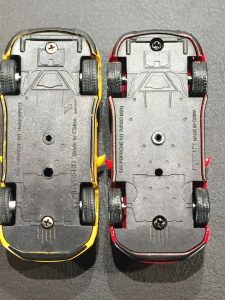 The wheels on the PaoFeng feel slightly more detailed, the spokes have more substance and look less flat than the Kyosho’s. 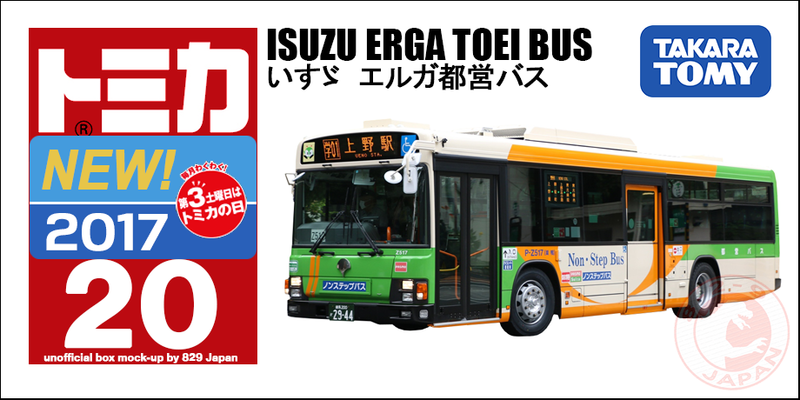 Same remark on the door handle. The stance of the PaoFeng is definitely wrong here, this may have to do with the fact that the model comes in a kit as we’ve seen pictures of the same model with a correct stance. 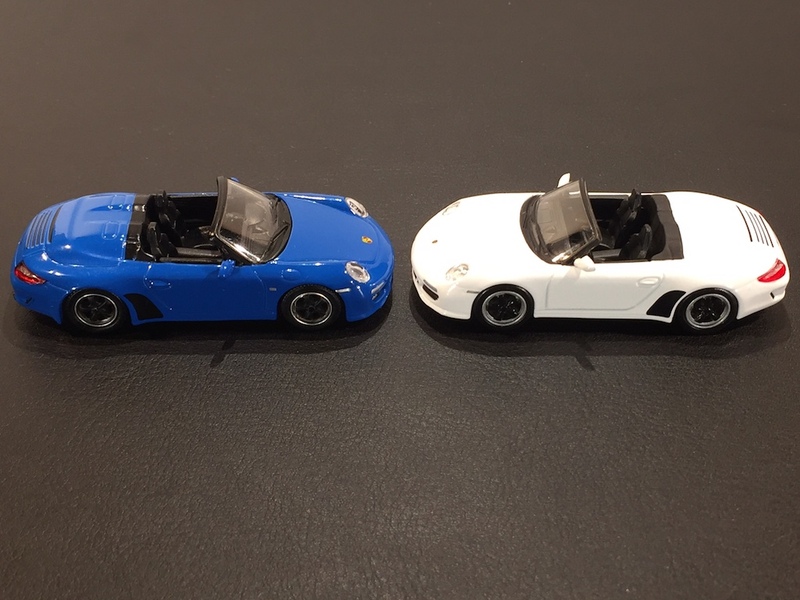 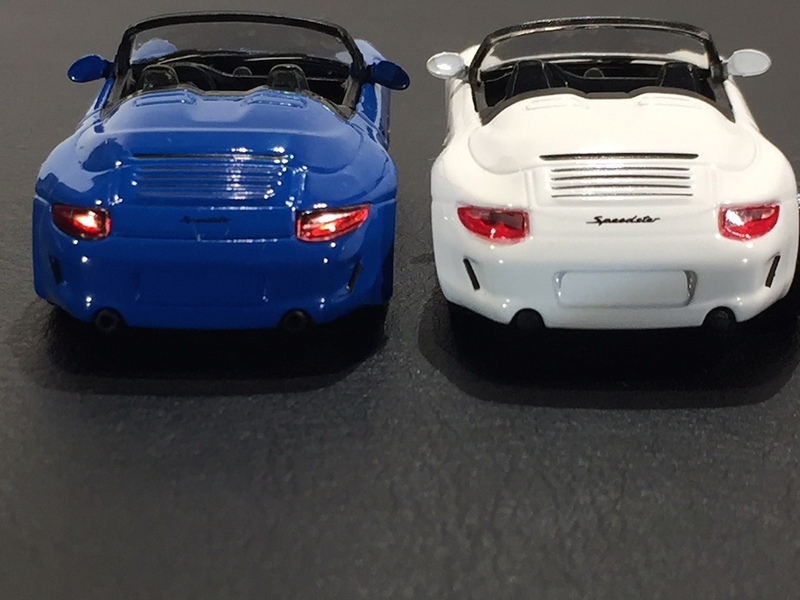 The blue version is from 7eleven and the white one from SunKus Porsche Collection 5. 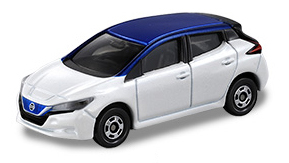 The interior is sharper on the PaoFeng but once again the side mirrors are tiny. 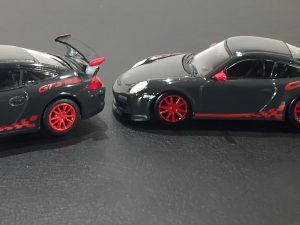 Both have the same stance. The headlights on the PaoFeng are too large. 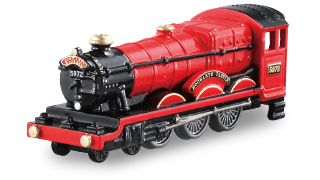 And the crest is way too big again. 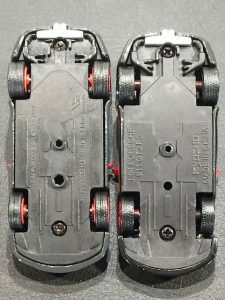 Do they have an issue with tiny tampos? Well it seems not since the ‘Speedster’ tampo at the rear is very small… seemingly too small. 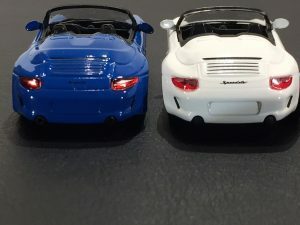 The rear lights however are much better on the PaoFeng. 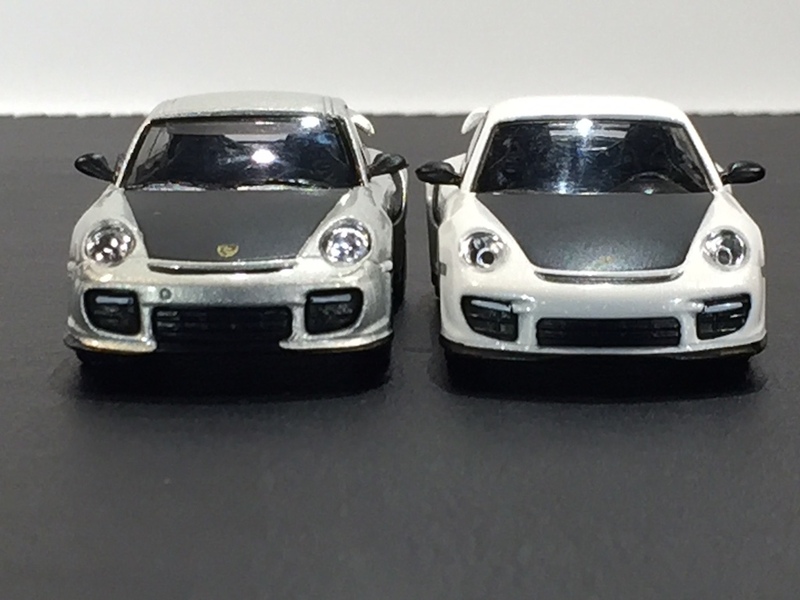 Silver is 7eleven, white is SunKus Porsche Collection 6. 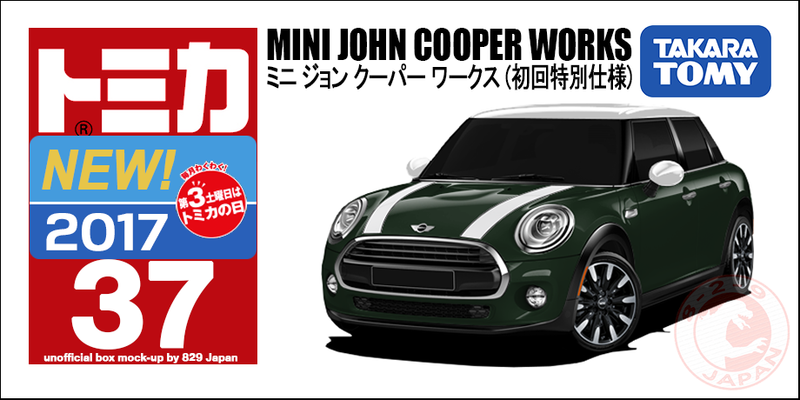 Again, big headlights, big crest, tiny side mirrors. 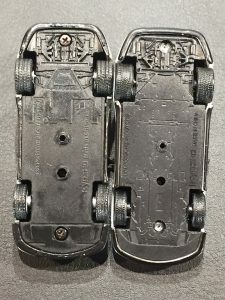 Overall the older version from SunKus is cleaner and more accurate. 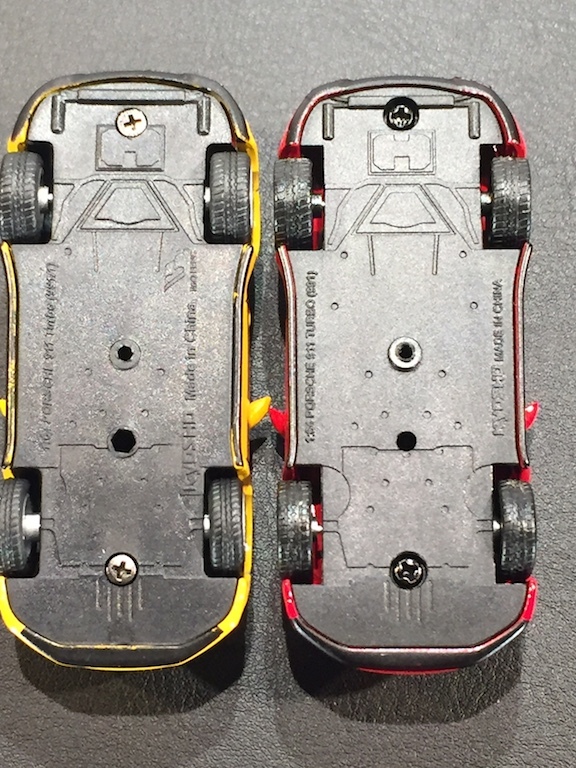 As you can see the wheels of the 7eleven version (yellow) are clearly wrong. 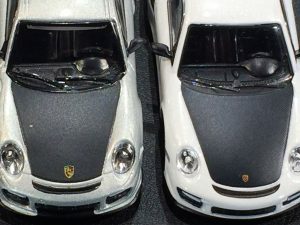 But this time the headlights seems to be the right size while they are apparently too large on the SunKus Porsche Collection 6 ! 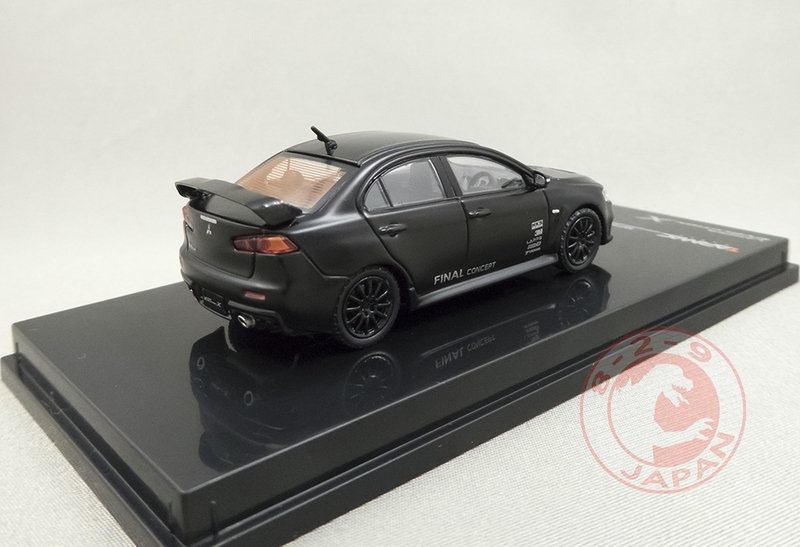 The side mirrors are fine but the crest too big as usual. 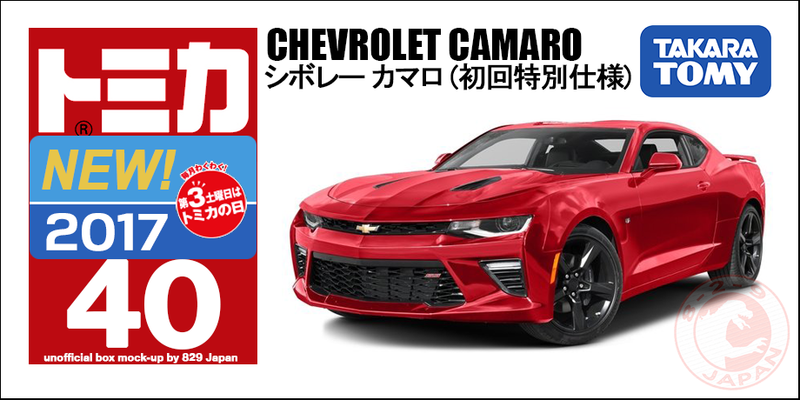 That was probably made on purpose on every car. PaoFeng did the rear wiper, nice touch. 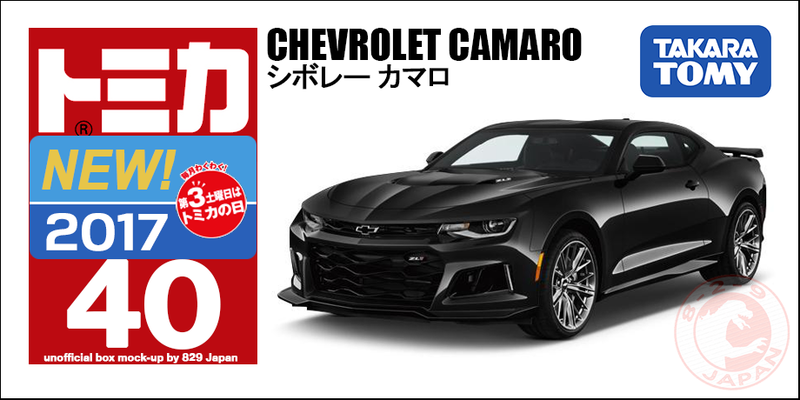 It may be because of the shape of the real car but both look extremely good. 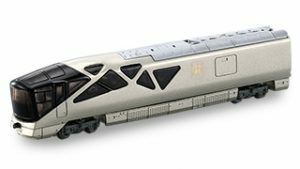 Just by looking at this huge crest you can tell the black one is from PaoFeng. Although the headlights are different I am not sure which one is more accurate. 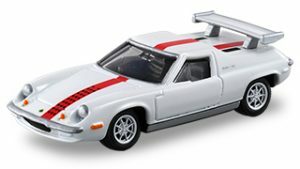 See what’s missing on the SunKus Porsche Collection 6? 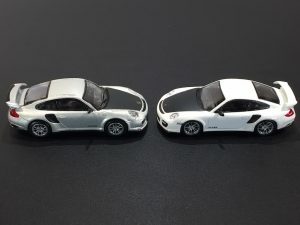 Twin exhaust ! 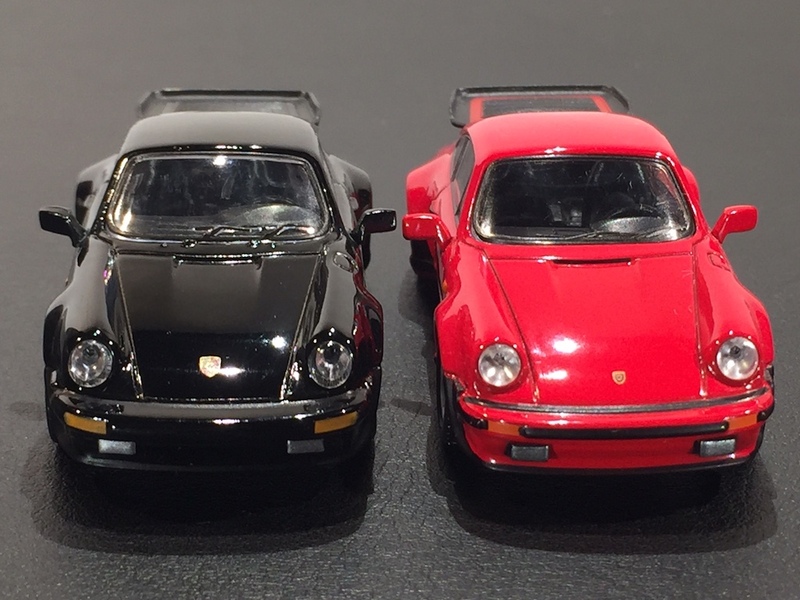 Conclusion : looking good overall, it is not too difficult to spot inaccuracies on these 1/64 Porsche models by Kyosho and PaoFeng. 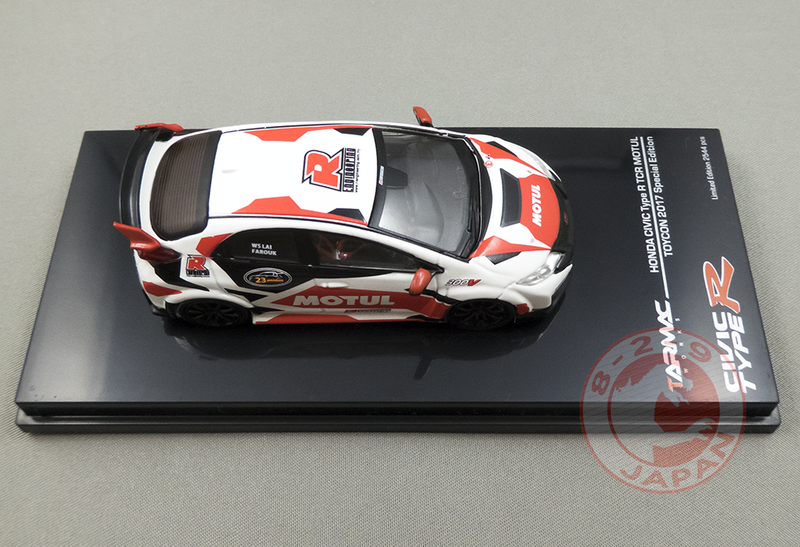 But on a few occasions they have better details than the older versions Kyosho made for SunKus. 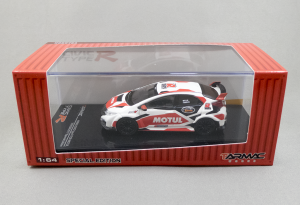 If you already own the SunKus editions you definitely don’t need them, but if not you shouldn’t be disappointed by these 7eleven Taiwan exclusives. 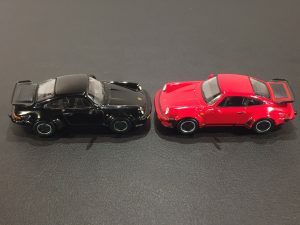 Thanks again to Ben Kiehn for the pictures and detailed comparison ! 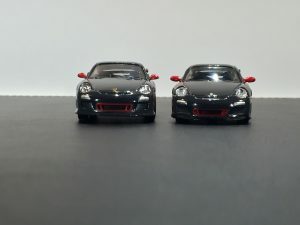 Relatively newcomer in the model car world, Tarmac Works is actually manned by people with years of experience, knowledge and connections. What started as a passion project by a professional pilot, an automotive insider and an avid minicar collector is blossoming into a force to be reckoned with. 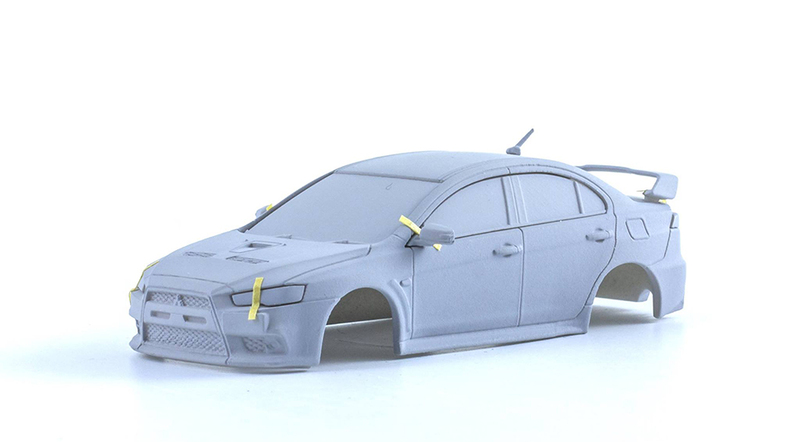 The first batch of these brand new toolings for 2017 in the Hobby64 line are coming very soon. 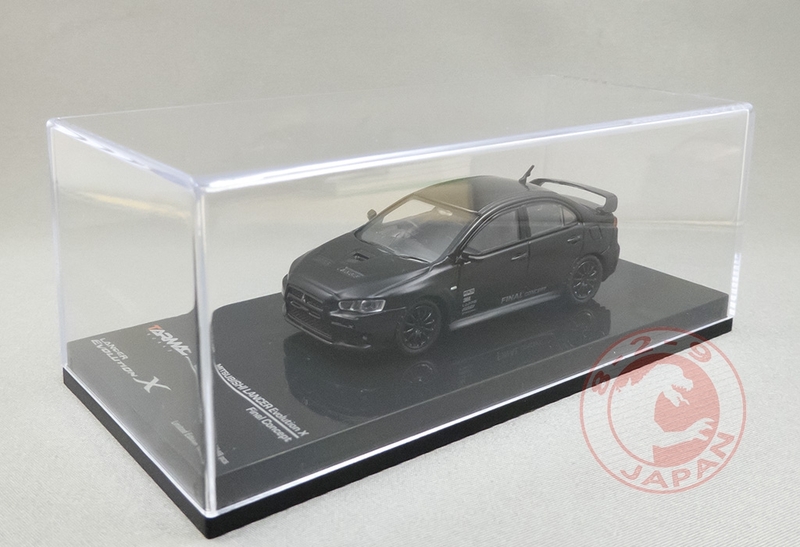 We will be thoroughly reviewing the Mitsubishi Lancer Evolution X but in the meantime we’ll take a look at the Final Concept version released at the last HK Toy Fair. 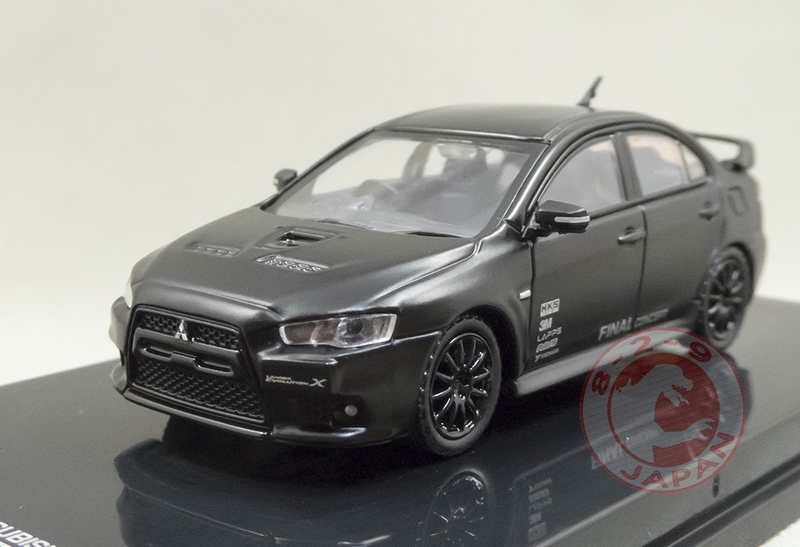 We’ve been waiting for a 1/64 Evo X for what seemed to be an eternity. 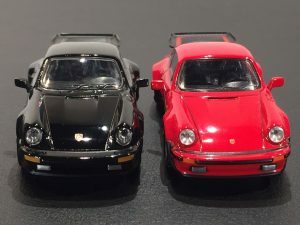 Not a single 1/64 scale manufacturer – not even Kyosho, the specialist of modern Japanese sports cars – tried to make a proper 1/64 replica. 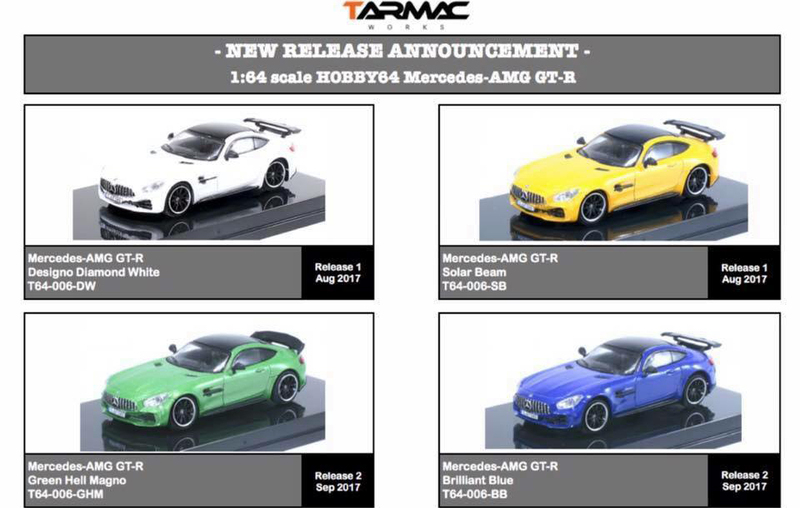 To be honest, even an okay model would have made us happy but clearly Tarmac Works is not the kind to be satisfied with “okay” stuff. They pushed this Evo X tooling to the limits. 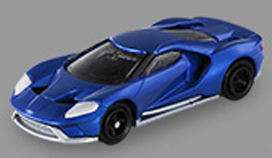 The level of detail featured on this tiny model is astounding. 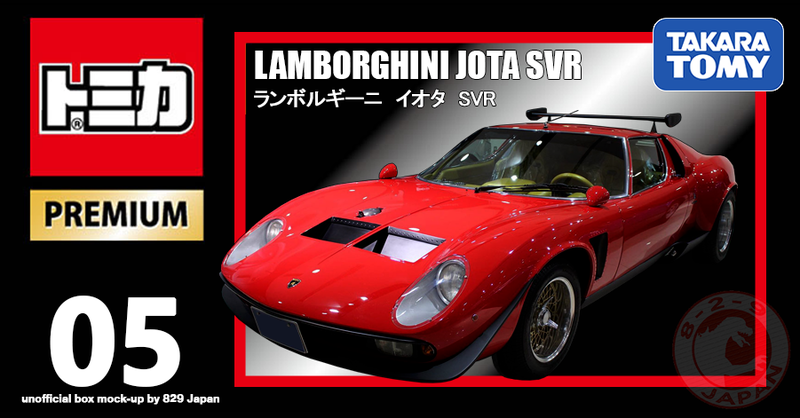 The last time our jaw dropped like this was when looking at an Oversteer car for the first time. 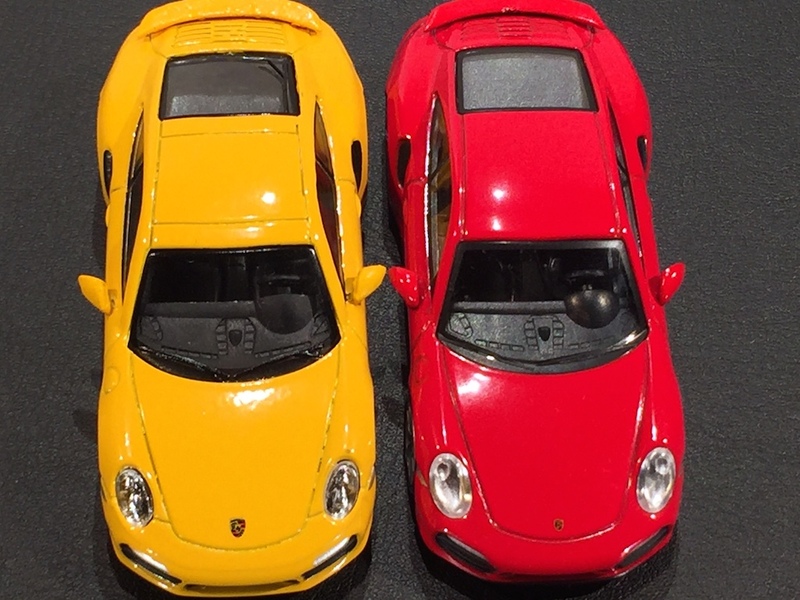 From the headlights to the exhausts; from the brake callipers to the micro-decals; everything is achieved with quasi perfection. 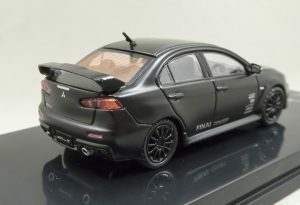 Macro pictures may reveal a decal crooked by half a degree, but to the naked eye this Evo X model is very impressive. 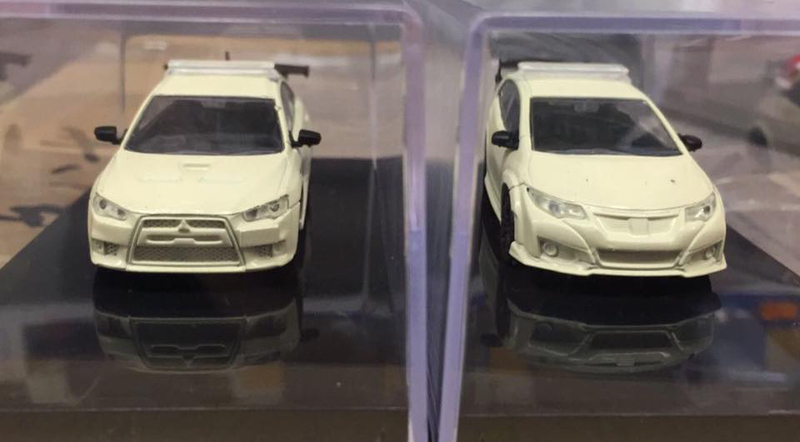 Two more versions of the Evo X (the octane blue color and the Advan rally inspired livery) are about to be released. 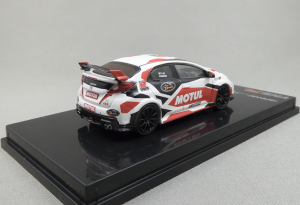 If you are thinking about getting one make sure to act fast ! 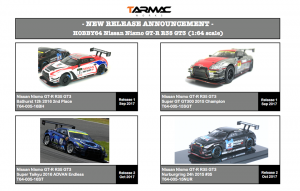 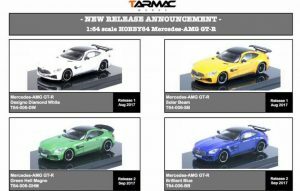 The Tarmac models are limited and there will be no re-run for a long, long time. At least 5 to 8 years according to Felix. 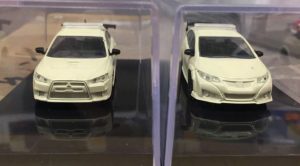 “We understand it often ruins the collectible value of the first run if a second run is done.” A second batch will be considered only under special circumstances many years after the first run. 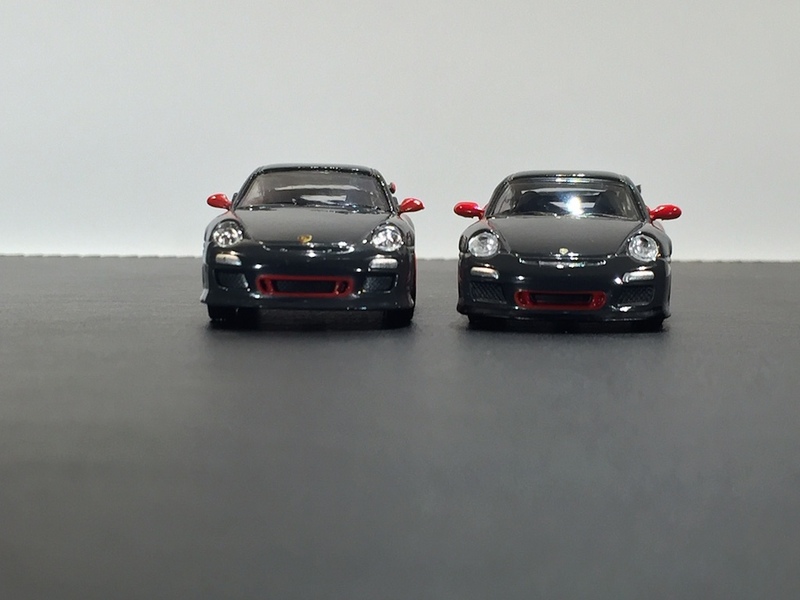 Communication and social interactions are also a big part of Tarmac Works’ ‘revolution’. 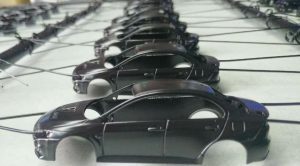 Felix and his team share a lot of work in progress pictures and even do live chats with the community over Facebook. 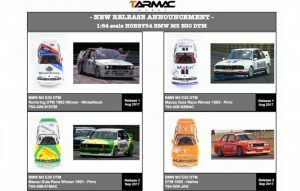 WIP pictures shared by Tarmac Works on their Facebook page. 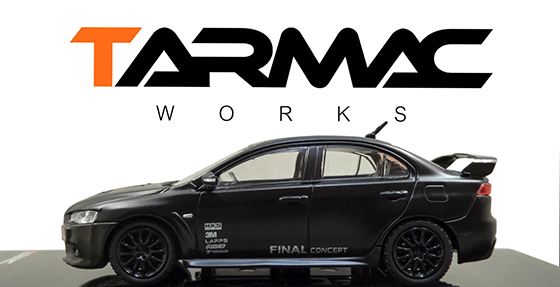 Pushing this concept further, Tarmac Works is getting ready to host their own model car events through 2017, starting in Kuala Lumpur, Malaysia on August 5th. 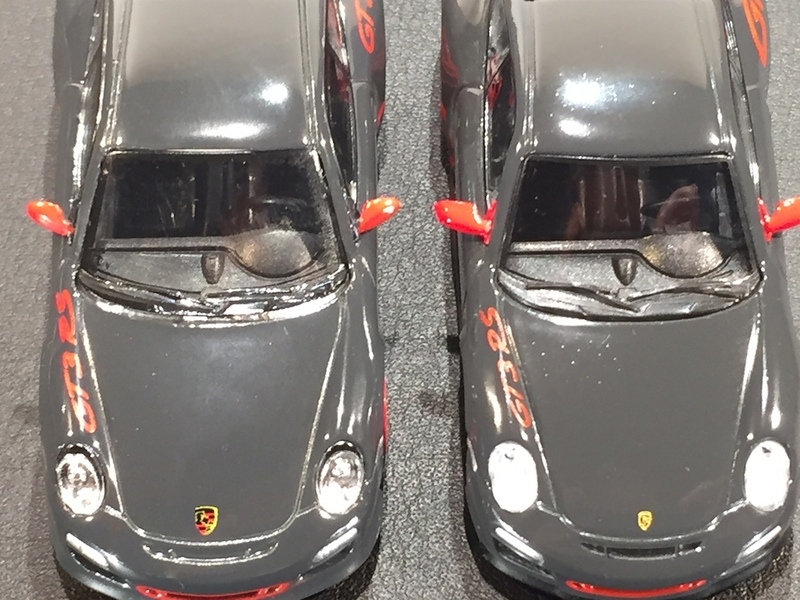 The Minicar Festival will be open to all brands, scales and collectors to celebrate the model car culture. 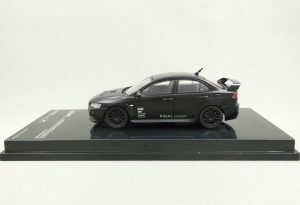 Tarmac will have the JUN Evo X for sale at their booth (and also via their website) and will organize a charity auction where die-hard fans will have a chance to score pre-production samples and other not for sale items. 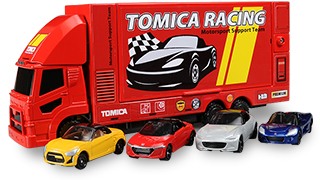 All proceeds will go to a local charity helping children. 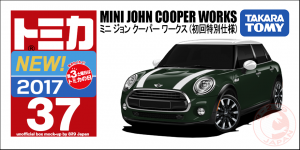 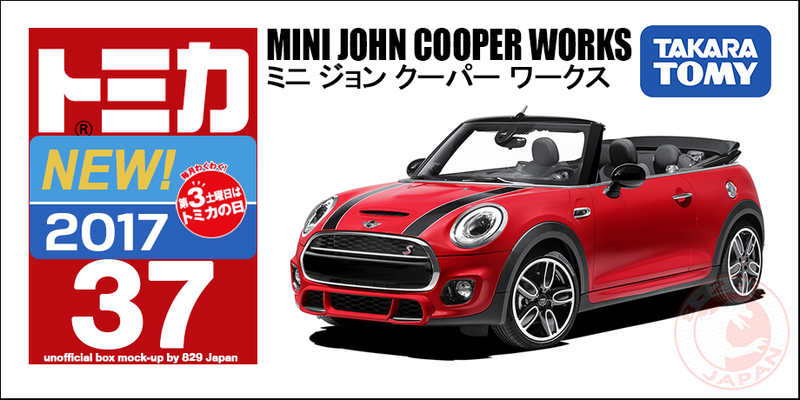 The Minicar Festival plans to visit a different city once every quarter in the future. 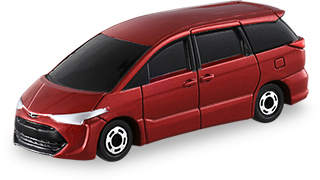 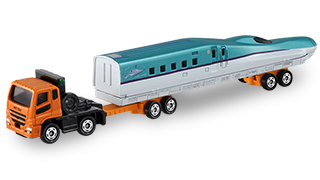 Speaking of the future, many cars are coming in the Hobby64 line and we will even see a new 1/64 line called Global64. The Global64 cars will be less detailed than the Hobby64 cars, but will have many variations and the lowest possible price tag at US$8.90. 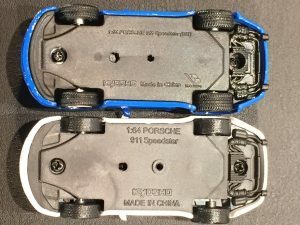 The first Global64 car will be the Audi R8 V10 Plus, followed later by the Lamborghini Aventador SV. 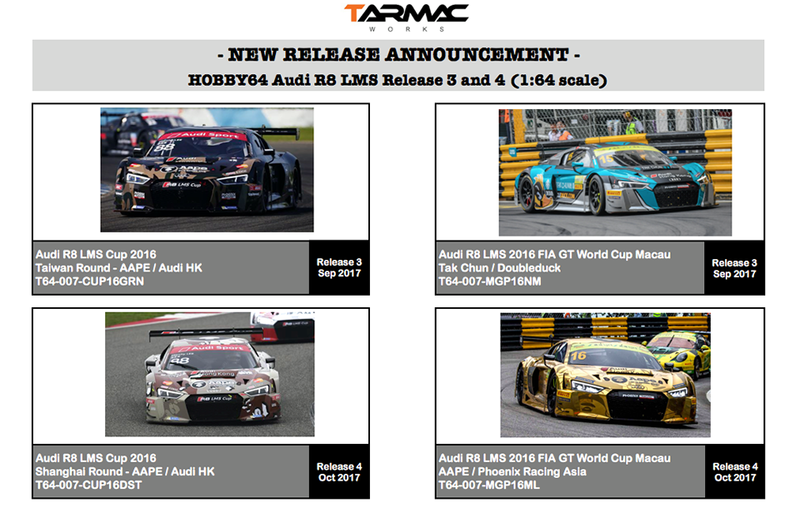 In the Hobby64 line the schedule is overwhelming : not only will there be more versions of the Evo X, Civic FK2 and R8 LMS, but also the Mercedes-AMG GT-R (and it’s GT3 version), the BMW M3E30 Racing, the Civic Type R FD2, the Lancer Evo V, the Nissan GT-R GT3 as well as the completely unforeseen Pandem GT-R and RWB 930 ! You must have noticed by now that we are totally impressed by Tarmac Works’ 1/64 cars and looking forward their next releases ! 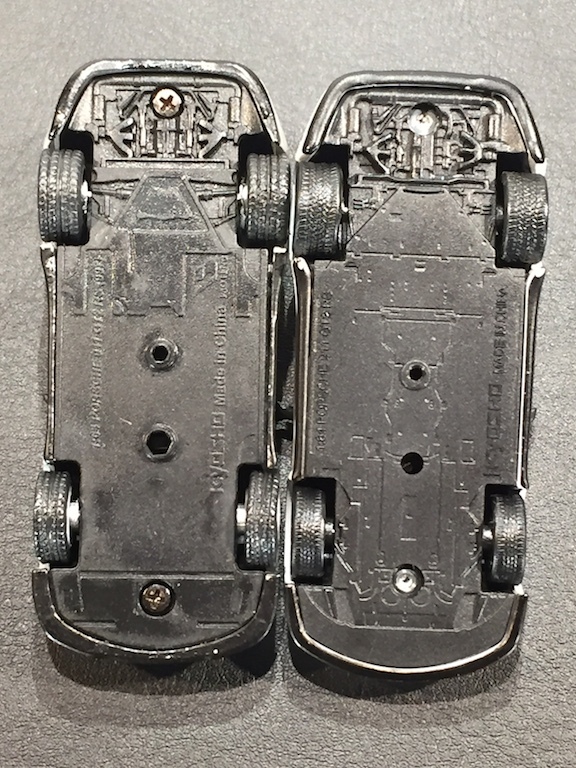 The passion and hard work they put in their products is clearly visible. Many thanks to Felix for his kindness and assistance and big ‘Thank you!’ to everyone at Tarmac for making such beautiful models. 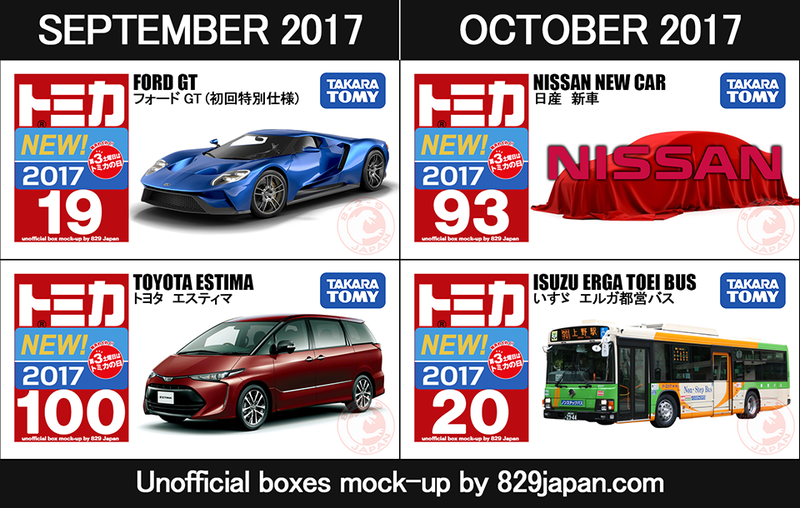 Keep up the good work ! 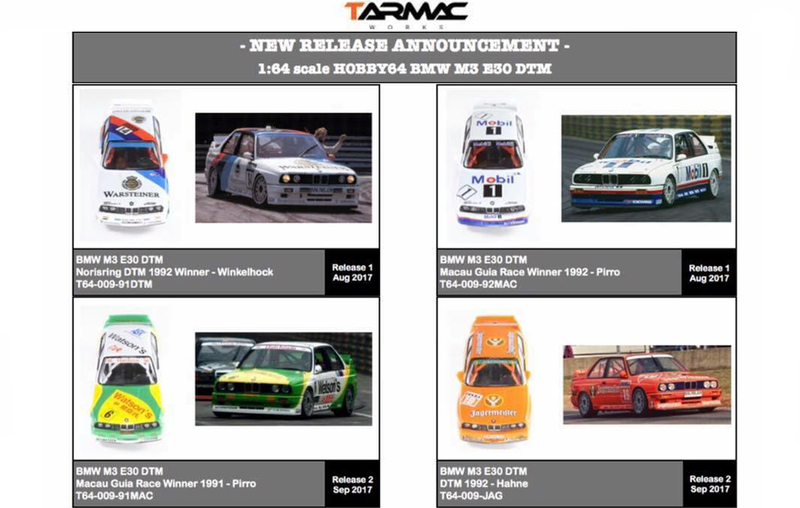 I’d really like to thank all the collectors that have been supporting us as it is always challenging to accept a new brand to the market. 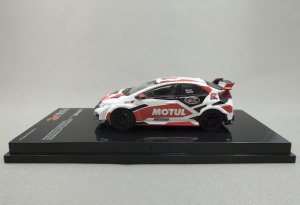 And I really am thankful to have a great team working in the Tarmac team as they all love model cars and have put in so much effort and heart into each of our cars. 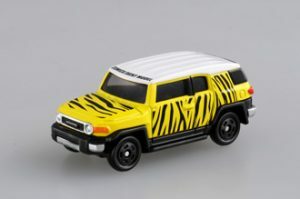 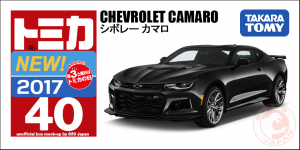 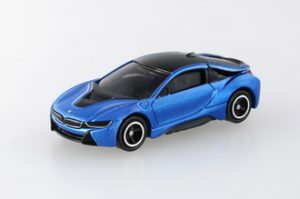 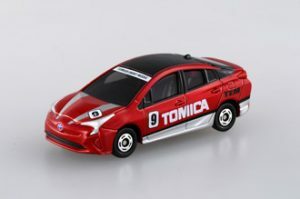 New Tomica Event Models will make their debut at the Yokohama Expo next month, adding 7 more cars to the first batch released in Osaka last April. 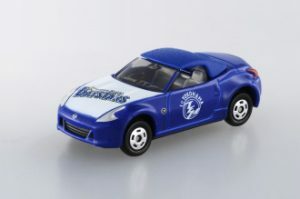 The Fairlady Z Yokohama DeNA Baystars will also be available at the venue. 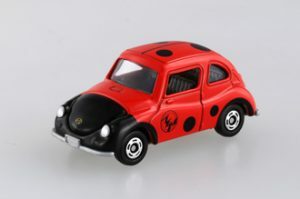 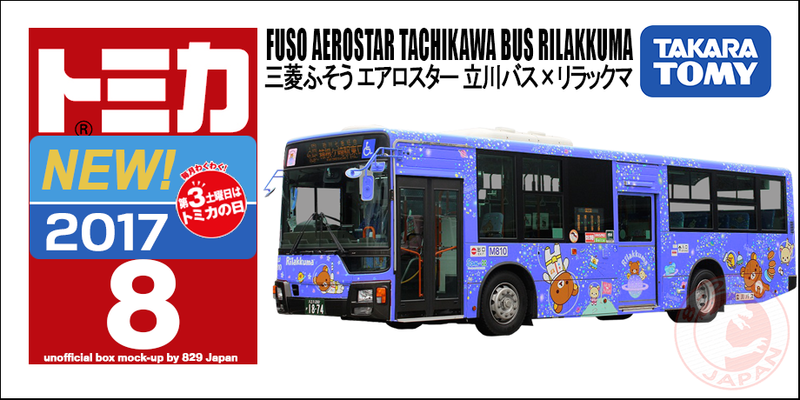 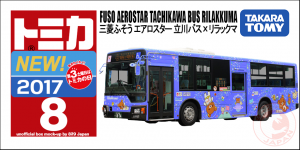 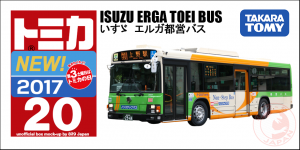 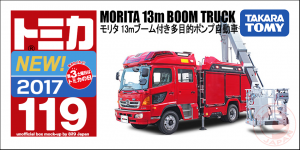 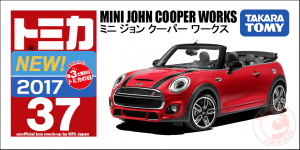 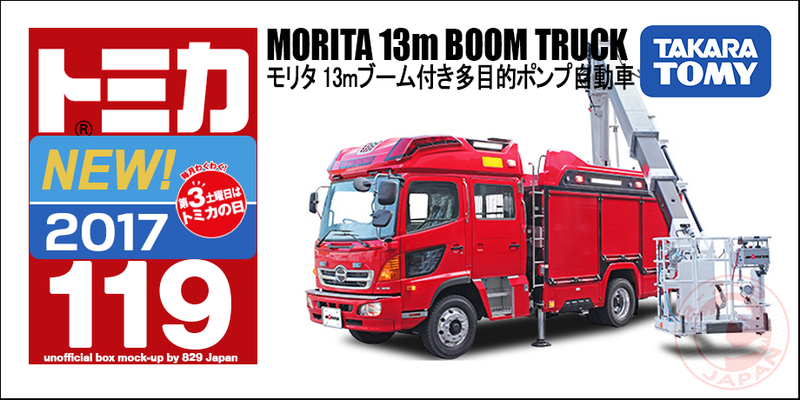 The Tomica Expo will be in Yokohama from August 10th to 20th at the Pacifico Convention Hall B.